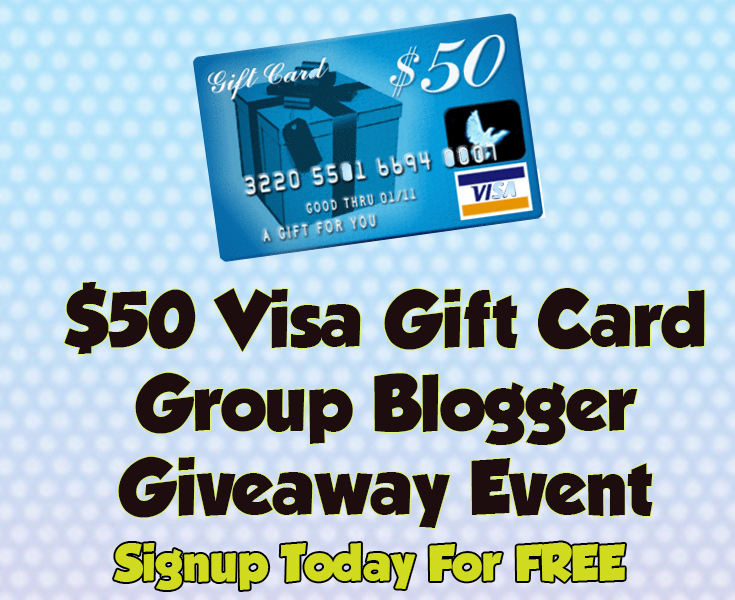 Do you have a blog and like to offer giveaways for your readers? Adding a giveaway to your blog not only can increase your social media following but it also can increase traffic to your blog too! I was invited by Disney/Marvel to attend the #BlackPantherEvent. All thoughts and opinions are my own. 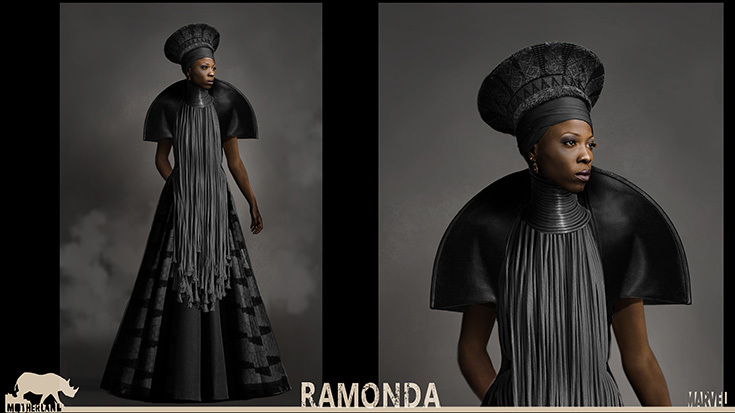 If you had a chance to see Black Panther you probably just as amazed as I was with the costumes that you will seen in the movie. 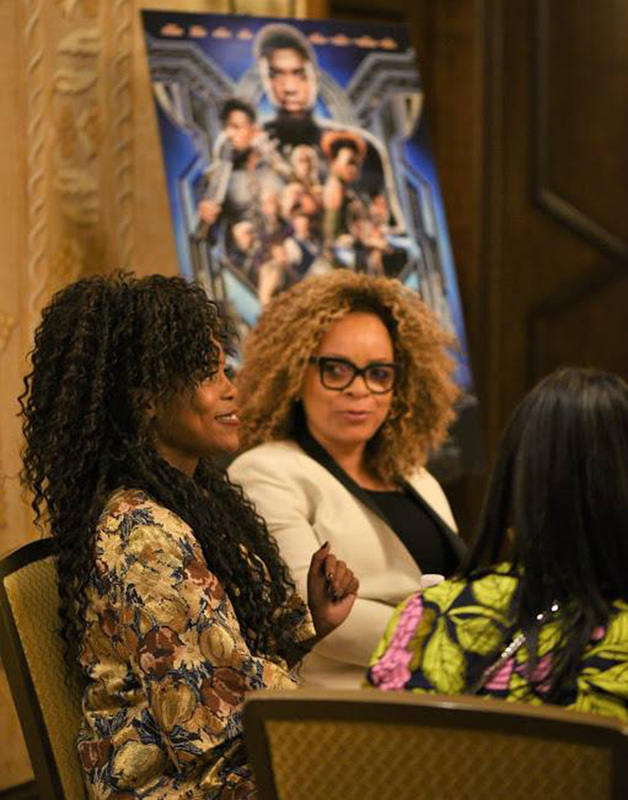 There are two people that I had the opportunity to meet last month at the Black Panther Press Conference that played important roles in making this film so successful. 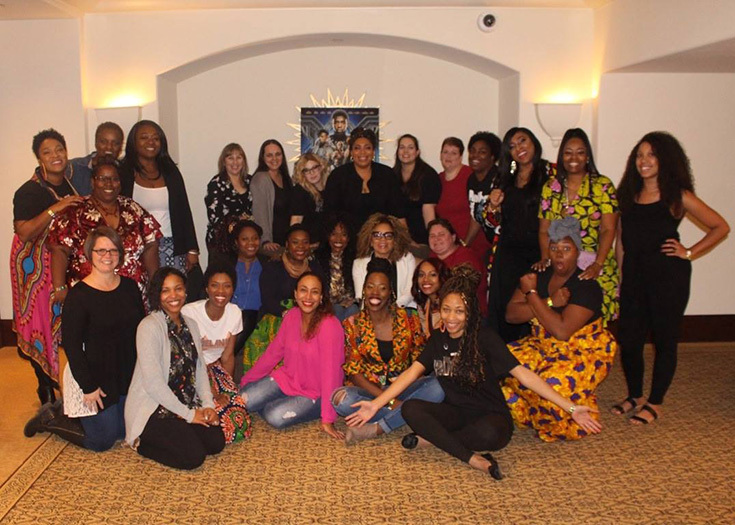 We had the chance to sit down with Ruth E. Carter (Costume Designer) and Heather Beachler (Production Designer) to learn more about their experiences with helping with this film. Our first question for these ladies is how did they get started. We wanted to know how did they start with such a film so big and was there a fluid kind of creative process? 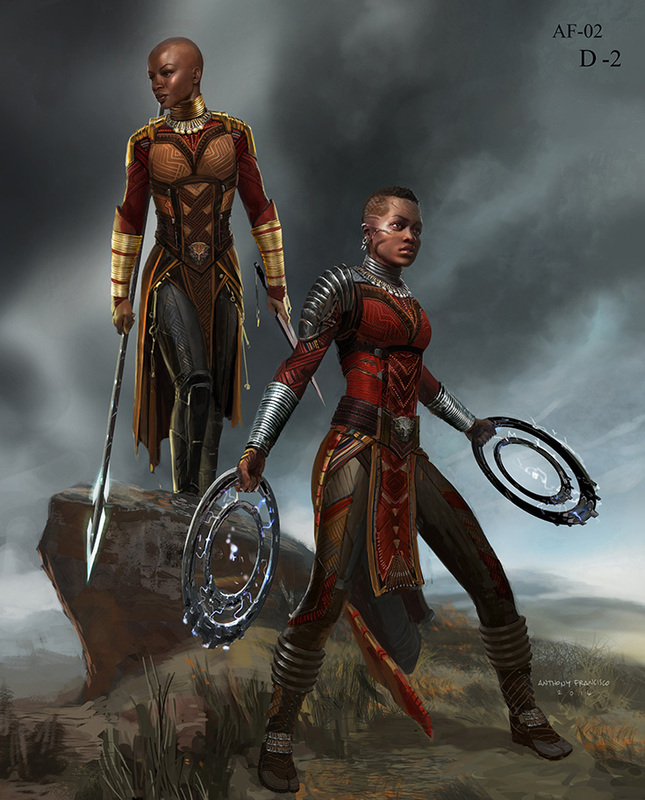 Ruth E Carter: And when I left I thought, you know, Hannah’s gonna say get her. Get her. I had such a good feeling from this. A warm feeling. You know when you’re in the right place and in the right space. That’s what I felt like when I left. And I knew that Marvel takes a while to make their decisions. So, I made sure I said to Ryan, you know, let me know, you know. Somebody else could be knocking on the door behind you. But they did. They made the decision and there I came. Heather Beachler: Yep, yep, it was pretty awesome. So, that was an honor for me, because I know your work. And so that just made everything. You know what I mean? It was like, okay, we’re all in good hands. Heather tells us how she came on first because production designer’s are usually on films right after the director, hired by the director and producers. 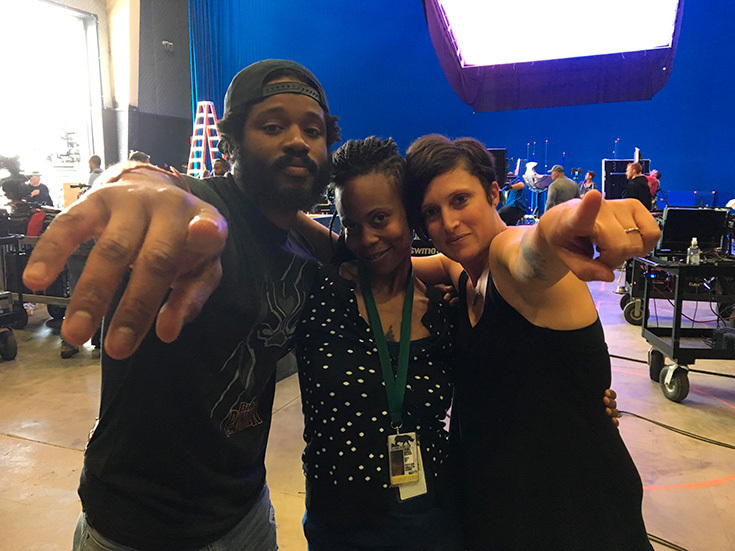 She tells us how Ryan was really good at guiding her with the process that started at the macro and how they talked about where is Wakanda and that that was going to determine everything that goes around. 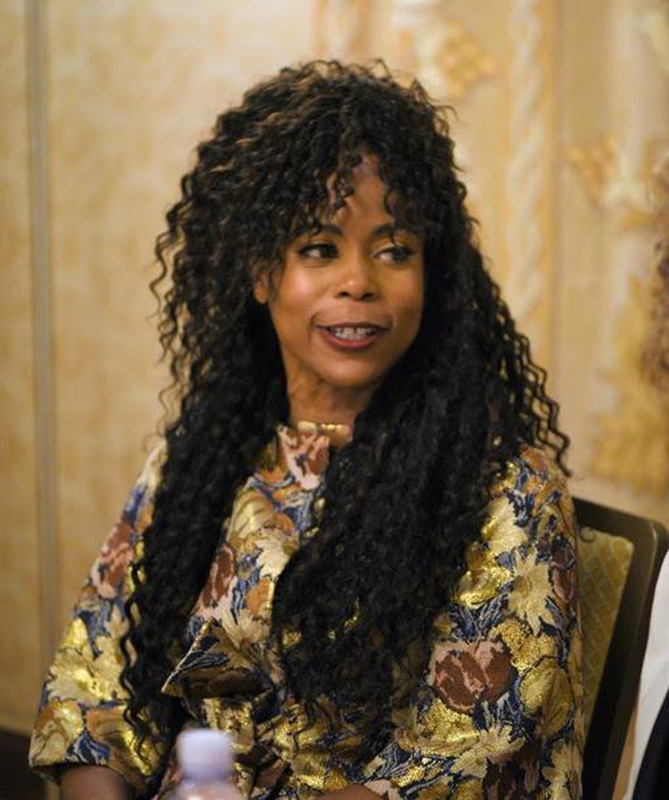 Hannah Beachler: We kind of set it in sort of eastern sub-Saharan Africa. So, basically you can kind of place it on the border of DRC like right above Burundi and Rwanda. So there was like Kibuye was there, Kenya, Uganda, above Uganda, Sudan. So, that’s sort of where we are. And we also took from Omo Valley tribes in Ethiopia. So you go down a little bit, but we wanted to keep it sub-Saharan. We wanted to keep it very specific. Heather tells us about how she reached into Western Nigeria, into Lagos and did a lot of research in Nairobi and the bigger cities around for the film. 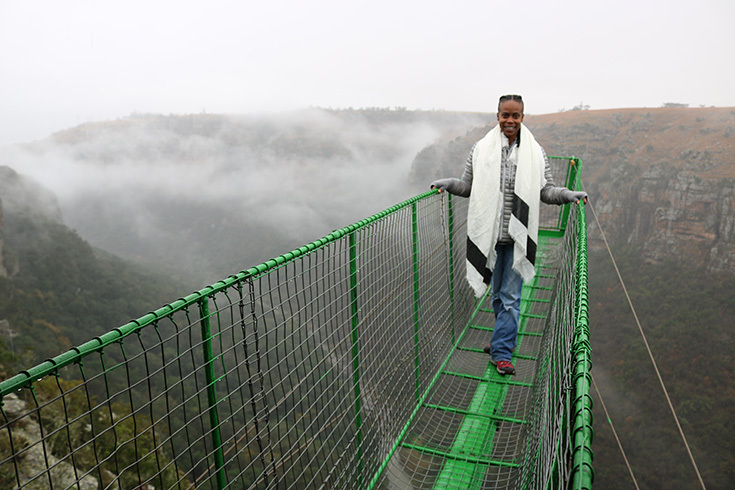 She tells us how she researched Kenya, Johannesburg and Cape Town just for some of the architecture and that she looked at the older architecture. Heather Beachler: So, that’s really where my process started really big. Where are we? And then it was like what is the typography of the land? Next step is where does each tribe live on that land and why? And what is each tribe’s history. So then I go down and dot through each tribes’ history, and like this is why they live here. There is a story and a reason behind every single thing you see on that screen coming from me and coming from Ruth. We wanted to know more about the costumes! 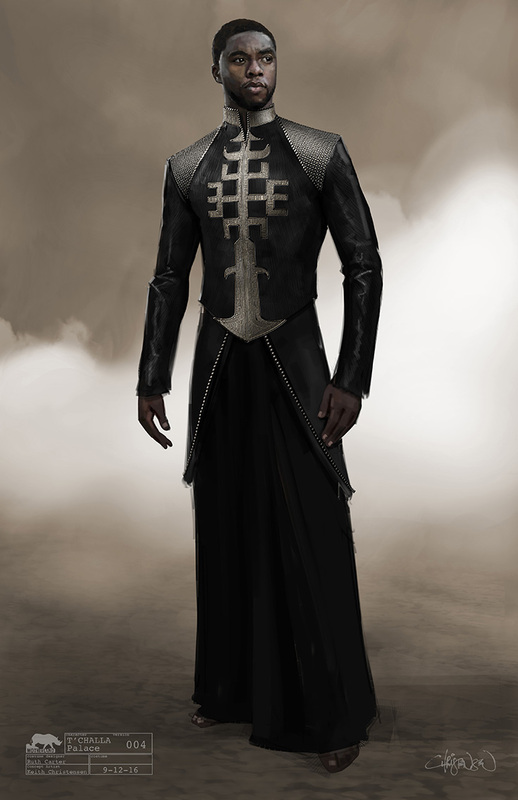 There is some amazing and beautiful costumes that you will see in this movie. 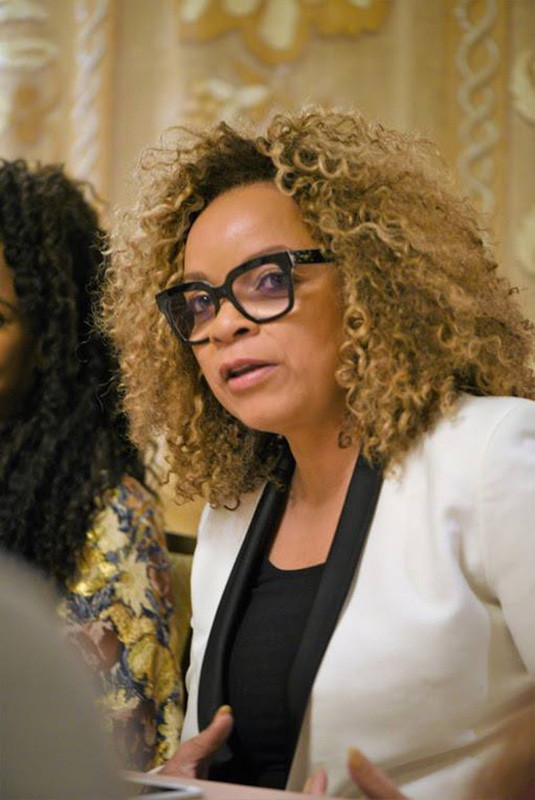 Ruth E. Carter: We were looking at Afropunk. We’re looking at modern fashion. We’re moving everything forward. Everything has to be beautiful. We are not going to lie in any stereotypes at all. Whatsoever. We wanted to present this world as a kingdom. What if Africa was not colonized? This is what they would honor. And you see these images of the Himba girl with her leather drape on and her Himba paced all over her skin and her costume, and she’s pushing like a grocery cart in like a little convenience store. This is like a real photo that I saw. And I thought, wow, this is like really cool how you can mix ancient indigenous tribal culture with modern. We don’t want to make a documentary. This is a futuristic place. This is a place that has the richest mineral known on earth, Vibranium. And, you know, they’re aware of it. They’re aware of their richness. So, let’s just move that forward. Looking at Afropunk, those images that you see on your phone, going through your Instagram, you see that beauty. And that’s some of the beauty that we wanted to infuse. I always think it is interesting to learn more about the costumes, the set and everything else that goes into making a big movie so successful. At the end of our interview with these ladies they were kind enough to take a photo with us that we could share! Black Panther is playing in theaters everywhere! Tomorrow Black Panther in theaters everywhere! I am excited to be able to take my kids to watch a movie that I haven’t been able to stop talking about! 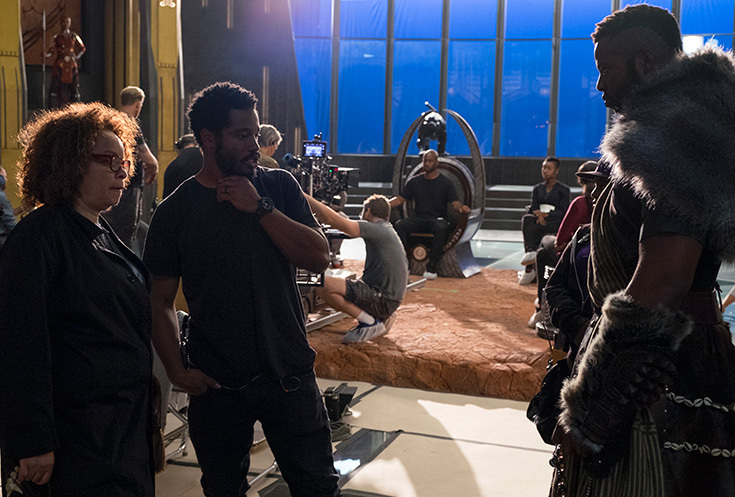 Today I am sharing our exclusive interview with Andy Serkis (Ulysses Klaue) and Winston Duke (M’Baku) who may just be your new Marvel favorites! 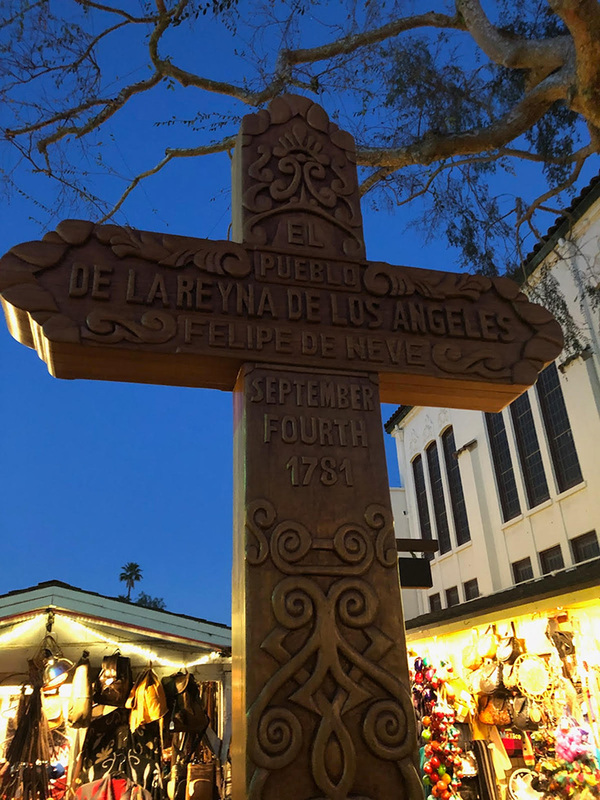 Last month I had the opportunity to visit Olvera Street, also known as the birthplace of Los Angeles to celebrate the Blu-Ray/DVD release for Pixar’s Coco! 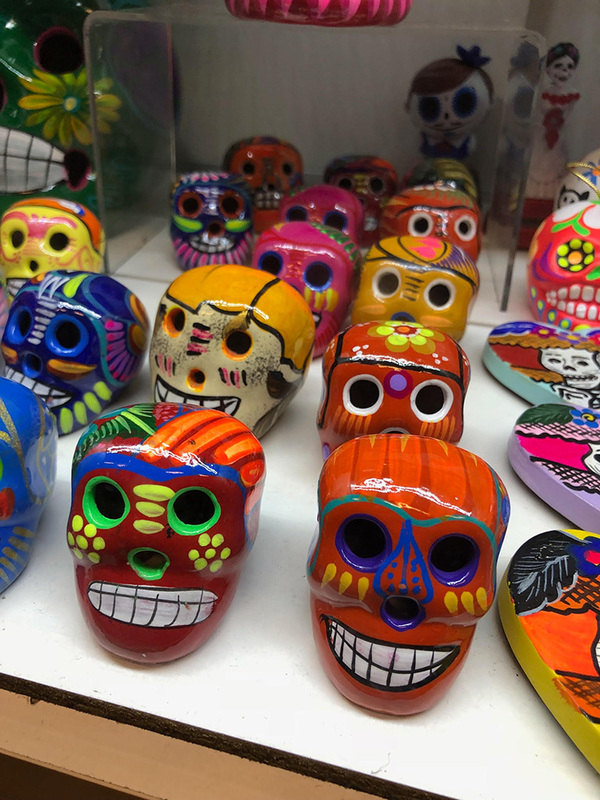 This was my first time to Olvera Street where you can find plenty of Mexican culture including music, food and plenty of gift shops with things to bring home. Definitely a place I want to go back to. 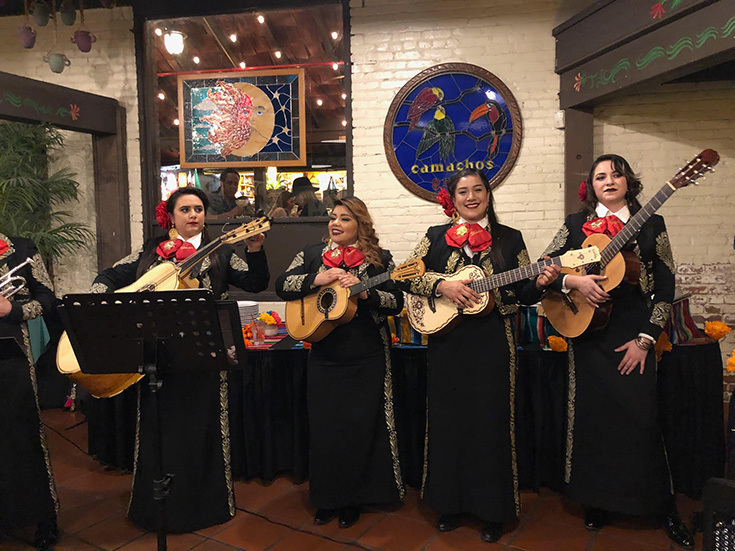 When we first arrived on Olvera Street we walked around and enjoyed the music playing, the people dancing, the smell of all the amazing food and we did a little shopping before dinner. 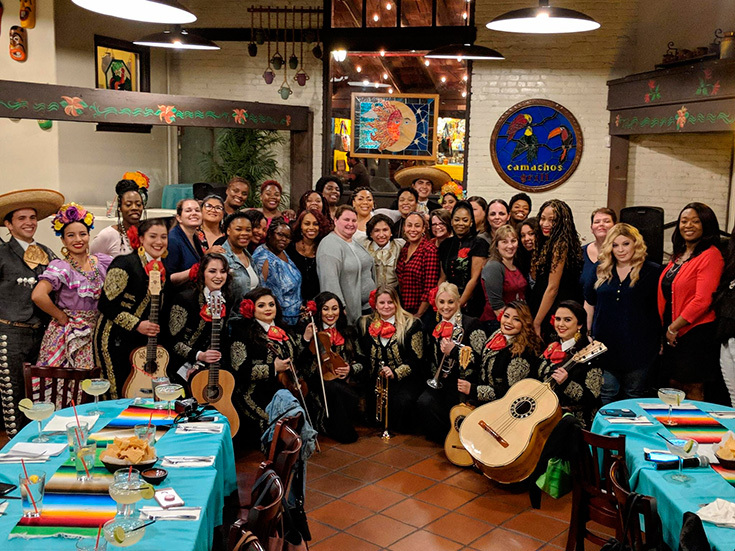 Next we headed over to the the El Paseo Inn to meet Anthony Gonzalez where we were greeted by a Mexican mariachi band. 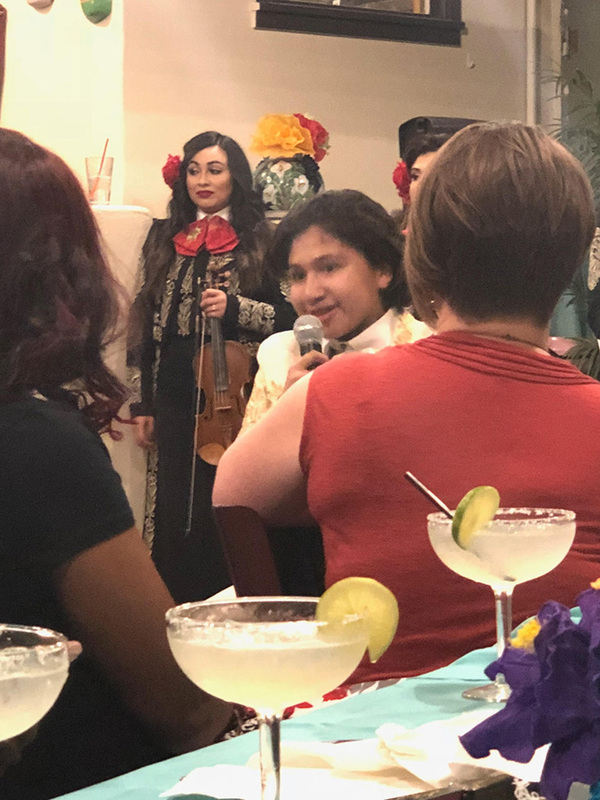 I enjoyed the mariachi band music playing but was even more excited when Anthony Gonzalez (voice of Miguel on Coco) came into the room and sang Remember Me for us which was really sweet. I can listen to him sing this song over and over and I was lucky enough to capture most of it on video. After Anthony’s performance singing “Remember Me” it was time to sit down for a short interview to ask him more about his experience with playing the voice of Miguel. How do you identify yourself with your character? Anthony Gonzalez: Well, when I first went to audition for Miguel, I really wanted to do this role because well I identified myself so much with him. And that is because we both have this passion for music. I grew up with music, singing with my brothers here in La Placita Olvera. And just to be part of a movie where I can sing because I’ve been doing that since I was four years old, is amazing. So that’s one way I identify with Miguel. Another way I identify myself with Miguel is we both know how important our family is and we know to really do our traditions. Just like Miguel’s tradition is to celebrate the Day of the Dead. And I actually have celebrated the Day of the Dead as well because my grandfather passed away when I was six years old, but well in the Day of the Dead it was a chance for me to be with him again and connect with him. And that’s another way me and Miguel connect. Now that the movie has come out, how do you feel it’s changed perspective on the Day of the Dead? Anthony Gonzalez: Yeah in fact I think it’s made a big change in our community because there’s some people like people tell me, wow I didn’t even know this was a holiday. Now I’m going to start celebrating it, because well, my father and my uncle passed away and I can be with them again and connect with them, it’s a celebration. And yeah that’s actually my home school teacher told me that her daughter didn’t even know this happened. And her friend passed away and then now that she knows about the Day of the Dead she can be with her friend again, which is amazing. And I think that has been a really good change in the community. What has been your most memorable experience in the course of doing the film and afterwards? Anthony Gonzalez: Wow there have been so many. Well one of them was I got to go to D23 and I had the honor to sing with the one and only Benjamin Bratt, which was so cool. And I’ve gotten to go to places that I never thought I would go to like Canada and I love Canada because it’s so cold and cold yes. And actually I actually never thought I would go to Pixar and I just love going to Pixar so much, because there’s like a soccer field and I love soccer so I get to play soccer every time I go there, every time on my break I got to play soccer. And also the food there is delicious. Anthony Gonzalez: Well that’s a good question. I have a lot of favorite scenes. 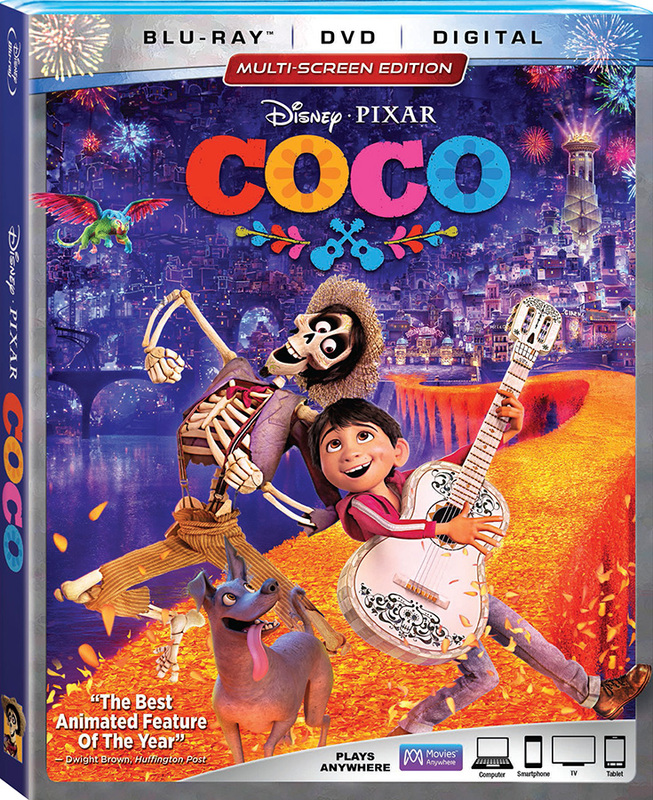 One is like I love all the scenes where Miguel is interacting with Mama Coco, I think that’s just so sweet, like I used to go like this and now we’re like this which is way faster, I love that. I also love when Mama and Mama Imelda agrees to tell give Miguel his blessing. But the only condition is that he can never play music ever again, and then he says okay. But then right when he goes back he gets a guitar and then he goes straight back to Mama again. 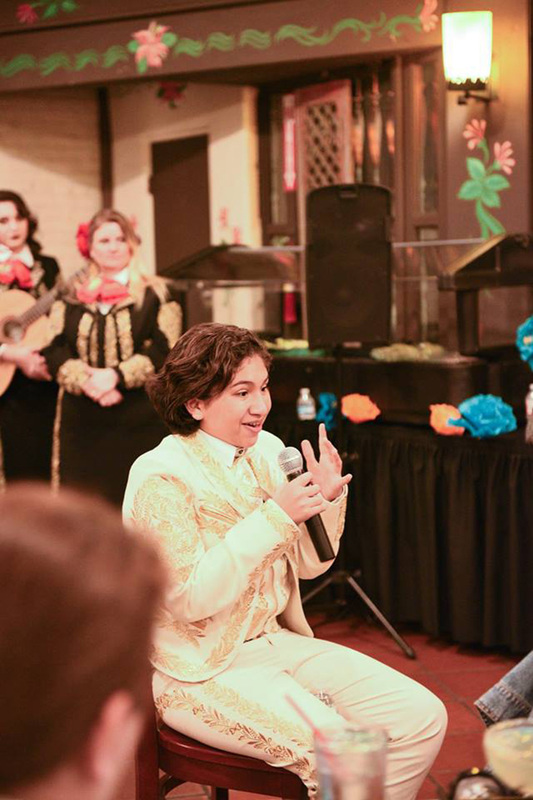 And another one I love is when Miguel is getting ready to sing Poco Loco and then Hector teases him about the grito and then the first time he tries it, he does horrible but then when he does it on stage, he nails it. I know you shared what you learned from the experience, but what do you hope other kids take from this film? Anthony Gonzalez: Well I hope that they take really that the Day of the Dead is not like Halloween, it’s a time for a celebration, it’s a wonderful celebration that anyone can celebrate, not just like from where- not just Mexicans can celebrate but anyone can celebrate it. Because it’s a day where you can connect and really remember your family members that passed away. And I think that’s what I hope that people take away from the movie. Anthony Gonzalez: Oh my gosh that’s just like a dream come true, that’s an honor, because I grew up watching these Disney movies, like Toy Story, I have the Woody toy and I have like a Buzz Lightyear blanket and just to be part of Disney Pixar movie is a big deal and at my age it’s just a dream come true. And all I can do is just thank god for all the blessings he’s given me. 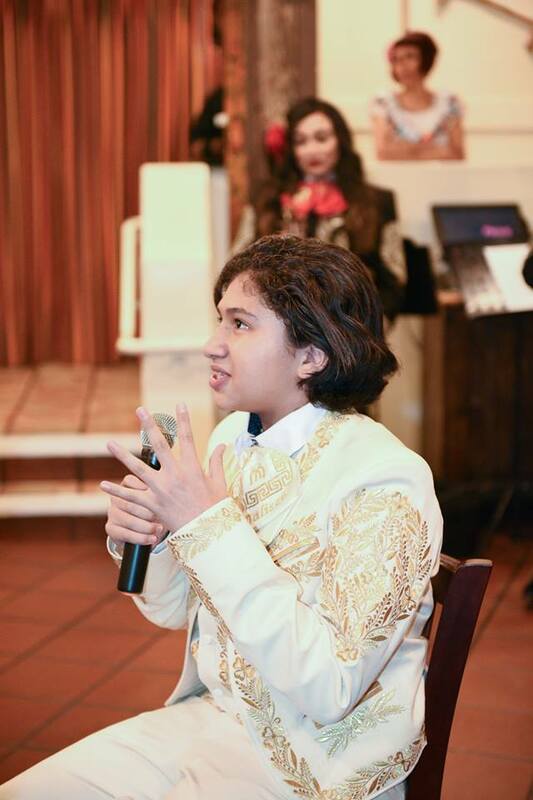 You performed on Olvera Street? Anthony Gonzalez: Yes I would do street performance, and sing in these streets. We would do a whole show like my brother would sing with one similar to this, and my sisters would do tap dance, ballet. They would sing- they would dance while my brother was singing and I would just look at them and I would just be inspired by them. And that’s, because of them I started singing and acting. This was such an amazing night and it was such a great opportunity to meet Anthony Gonzalez after falling in love with his character on the big screen. 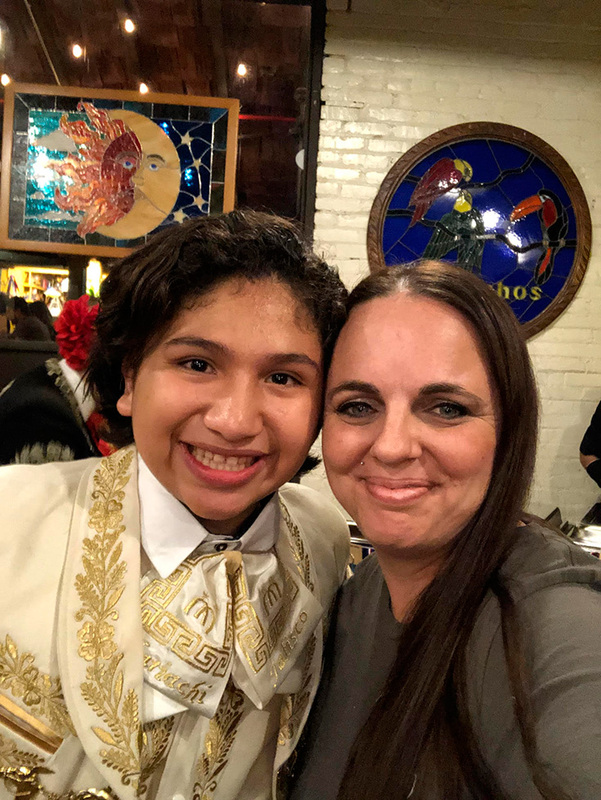 It was even more special knowing that Olvera Street is part of Anthony’s history and having him perform for us on Olvera Street was memorable! I think that Anthony is such a TALENTED kid with charm and I look forward to watching him grow on the big screen! 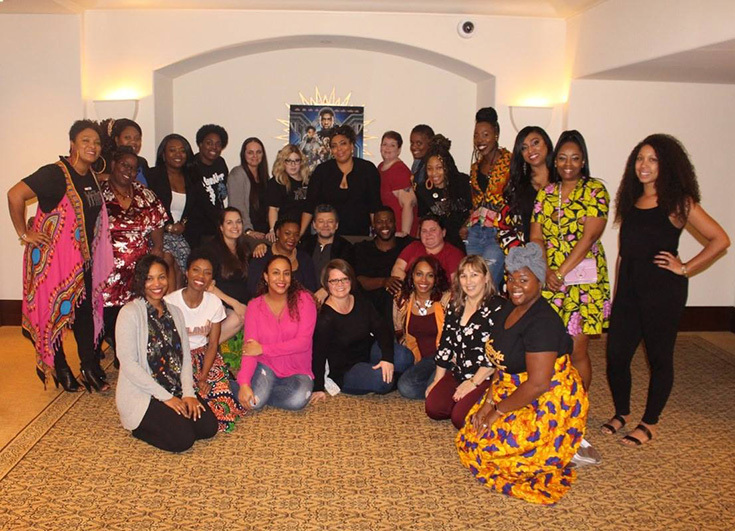 This week I have been sharing some of our interviews with the Black Panther cast! Today I am sharing our first interview that was with Daniel Kaluuya who plays W’Kabi and Letitia Wright who plays Shuri, T’Challa’s little sister who happens to be one of my favorites from the movie since she is both smart and knows how to fight!